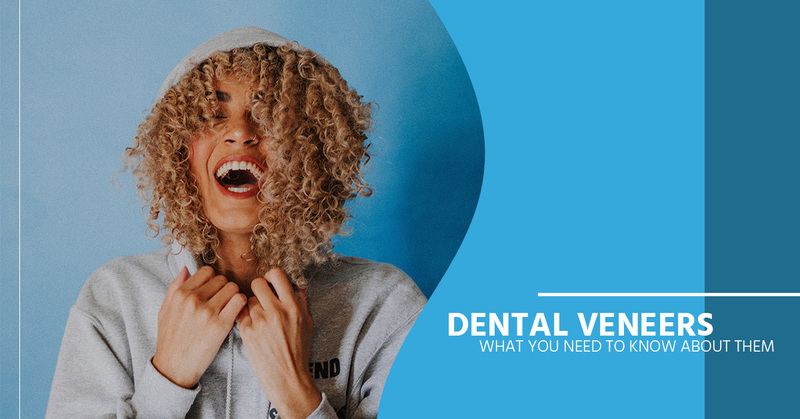 If your front teeth are chipped, misshapen, discolored, or they simply don’t meet your expectations, dental veneers might be the solution you’re looking for. Read about this routine cosmetic dentistry treatment and discover if dental veneers might be right for you. Very few people are born with the perfect smile. The reality is that life happens, and our teeth sometimes reflect the challenges we were born with or the issues we faced through the years. If your teeth are crooked, brittle, chipped, or discolored, a number of factors could have contributed to the look of your smile, from genetics to wear and tear. Lifestyle can affect the look of your teeth as well; smoking, for example, can stain teeth. So can drinking coffee or tea. If you’re unhappy with the look of your teeth, dental veneers might be an option for you. 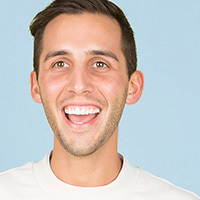 A veneer is a thin sheet of strong material designed to match the look and feel of natural teeth; here at White Smiles Family Dentistry in Spring Lake Park, our dentists regularly perform this cosmetic dentistry procedure to improve smiles and, just as important, restore a more natural bite. A dentist will attach veneers directly over your existing teeth to cover up any imperfections and achieve a great look. There’s no need to do tooth extractions or complicated procedures; veneers simply enhance a tooth’s beauty while giving it extra strength. They can be shaped to upgrade your smile, providing a natural appearance while concealing damaged or discolored teeth for a great look and a more confident you! Improve the look of teeth that are stained and discolored. If your teeth are otherwise healthy but you find that the way they look doesn’t meet your expectations, ask your dentist about veneers. Once your custom veneers are attached to create a beautiful, natural-looking smile, you’ll want to maintain them properly so they’ll last for many years to come. While a veneer can strengthen your teeth and improve your smile, it isn’t a shield against tooth decay; you can still get cavities with veneers, so it’s important that you continue to brush and floss to maintain a high level of hygiene inside your mouth. Ask your dentist what dental care precautions you need to take to maintain your dental veneers. Why Choose This Dental Treatment Over Others? Some teeth may be so damaged that the only solution is to extract them. Following extraction, implants or bridges may be needed to fill in the gaps. But if your teeth are still healthy overall, meaning the roots are in good shape and the tooth is still solidly in place, extractions would be extreme and unnecessary. When a tooth is still relatively healthy, you and your dentist will want to do everything in your power to save it. This doesn’t mean you have to put up with a look you’re not happy with. Dental veneers are the dental treatment of choice when the appearance and integrity of a tooth can be improved and the tooth can be preserved. You may have heard of lumineers; these are dental veneers made from a special type of patented porcelain known for its strength, durability, and aesthetics. At White Smiles Family Dentistry in Spring Lake Park, MN, our dentists regularly use lumineers to improve our patients’ smiles because they are thinner yet stronger than traditional dental veneers. Our patients love how they look with lumineers! We can even show you beforehand what you’ll look like after the procedure thanks to Lumismile, an innovative program that makes use of digital photography to let you see just what this treatment can do for you. Ready to take the next step and move forward with a treatment designed to give you a winning smile? Reach out to one of our family and cosmetic dentists at White Smiles Family Dentistry. We are located in Spring Lake Park north of Minneapolis, MN, and we serve patients of all ages. Whether you have thin enamel, discolored teeth, a crooked smile, or any other imperfections you’d like to correct, give our family dental care clinic a call today to make your appointment. We are here to work with you and help you get the smile you want. Reach out to us for all your dental treatment needs, from general to cosmetic dentistry, and also for routine checkups and cleanings. Give us a call today!